Being thin and being fit are not necessarily the same.One can be extremely thin and yet not fit, similarly, when it comes to a party, playing music and having a disc jokey cannot be used interchangeably. Anyone and everyone can have music, just turn it on and let the songs play one after the other, however, the difference between a good party and an amazing party is the whether of not you have great music, and if you do have a DJ, how good the DJ-ing is. There are usually lots of people at a party with lots of different personalities and a very varied taste in music. The DJ’s job is to play music according to everyone’s interest, certain songs of each kind to keep everyone entertained. However, the defining talent of a DJ lies in how well they can integrate different songs and play one non-stop track. All of us love to host parties but not all of us can afford state-of-the art, in other words, the trendiest DJs because we are not that rich and even if we were, these high-profile DJs would be too busy for us. 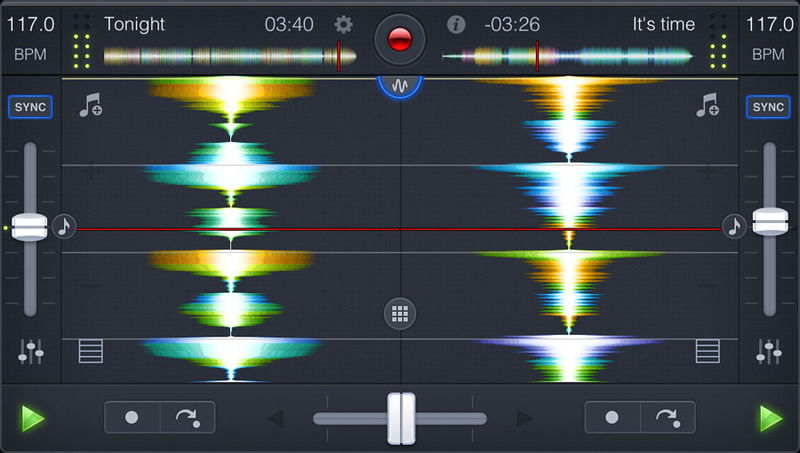 So instead of being dependent, the wiser and more fun thing to do would be to download this wonderful app called djay 2. It transforms your Android device into a full–featured DJ system. Seamlessly integrated with Spotify and all the music on your device, djay gives you direct access to mix your favorite songs and playlists instantly. You can perform live, record mixes on–the–go, or enable Automix mode to let djay create a seamless mix for you automatically. Whether you are a professional DJ or a beginner who just loves to play with music, djay offers you the most intuitive yet powerful DJ experience on an Android device. This app is not just useful for a party. If you are someone who thinks that they might be interested in DJ-ing but are a bit unsure about it, this app proves to become a life saver as you can just download it and try your hand at it instead of investing in the whole DJ-ing paraphernalia and then realising that this is not your calling, losing a lot of money in the process. Whatever the case may be, this app proves to be very useful!